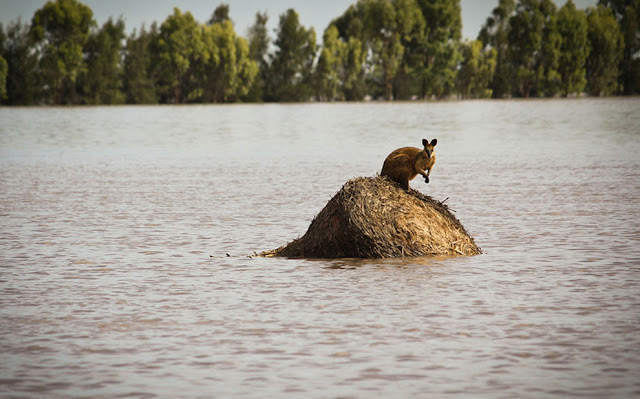 A week of record breaking rain and floods has killed at least two people with another one missing with massive damage to crops and infrastructure across Western Australia. Western Australia Premier announced that the heavy rain has affected huge areas of the state, including Swan Valley, where it has had a dramatic impact on grape growers, as well as parts of the Kimberley, the Pilbara, the Gascoyne, Mid-West areas and the south coastal areas. The flooding has been described as some of the worst in decades and is estimated to have caused hundreds of millions of dollars in damage with roads, bridges and farms affected. There are still many areas with current flood warnings in place. WA Department of Fire and Emergency Services warned earlier today that flooding was likely in the Swan and Murray Catchments in Perth Metropolitan area, reported Floodlist .com. The period between 09 to 10 February saw some of the heaviest rainfall. On 10 February, Kalgoorlie recorded 37mm of rain in just 1 hour. In a 24 hour period to 10 February, Yangedine recorded 75 mm. During the same period, Perth recorded 114 mm of rain, making it the second wettest day on record. The highest remains 9 February 1992 when 120.6 mm of rain fell. According to the Bureau of Meteorology (BoM), Perth has seen 165.2 mm of rain so far this year and 134.8 mm in February alone. This summer has been the wettest on record, with a total of 190.4mm, beating the previous record of 180.4mm in 1955.